Inside the 12 inch macbook 2017 you will find an Intel Core processor m3, i5 and i7 processors 7 with 14 nanometer technology. This allows the MacBook to incorporate energy efficiency with the performance required to perform all tasks. 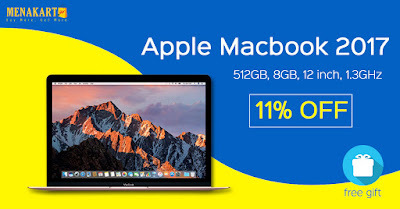 The MacBook 12inch 2017 is equipped with a 5-watt processor that produces less heat and eliminates the need for a fan to cool the computer, which is critical for thinning. To get this capability, the machine switched to the next-generation Intel Core M processor . Each of the components inside the MacBook 12inch 2017 has been carefully designed to make the most of thin and lightweight casings. Apple has chosen a powerful yet highly efficient processor, And optimize macOS when we do the 12inch 2017 macbook using as little energy as possible. Because of that, there is no need for computer cooling fan. Although the macbook 12inch 2017 components are tiny, it has the impressive ability to store files and run the applications you need every day. With up to 16GB of 1866MHz LPDDR3 memory and 512GB of SSD, you get a slim and light notebook with a very high performance. Life To achieve full-day battery life, the 12inch 2017 Macbook needs to use every inch of space inside the MacBook. So, apple creates an advanced, stepped shaped battery that fits into a specific border, the bulkhead . As a result, the battery's battery capacity is 35% more than before.